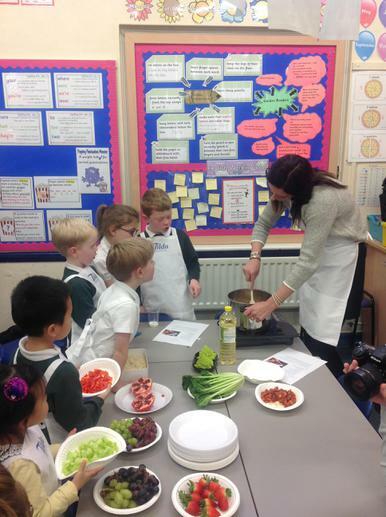 Tilda Rice visited the school yesterday to run a healthy food workshop as part of our prize for winning their Tilda Together Competition. 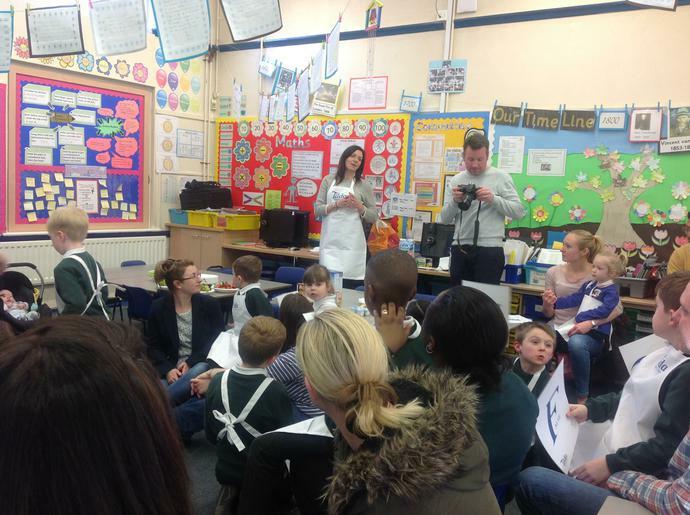 Their qualified nutritionist spoke to some of our parents and children about how to have a healthy diet and the children found out how much sugar was in some of their favourite food and drink. 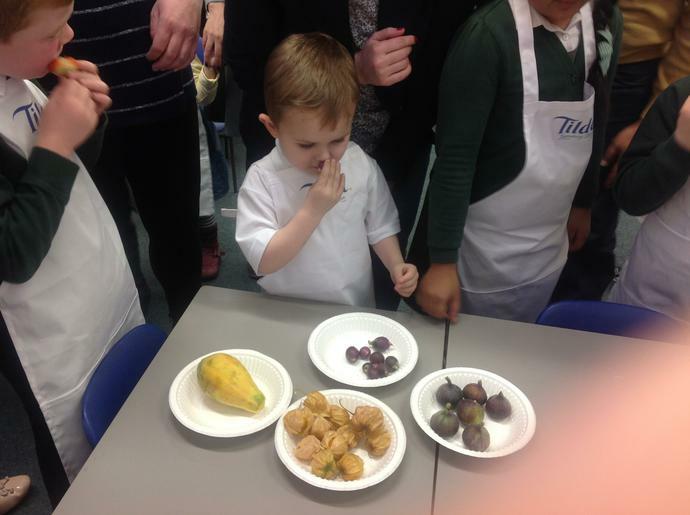 The children had fun tasting a variety of unusual fruit and vegetables and everyone enjoyed tasting the delicious chicken jambalaya at the end of the session. Everyone left the session with a new apron and a goodie bag packed with gifts from Tilda Rice. 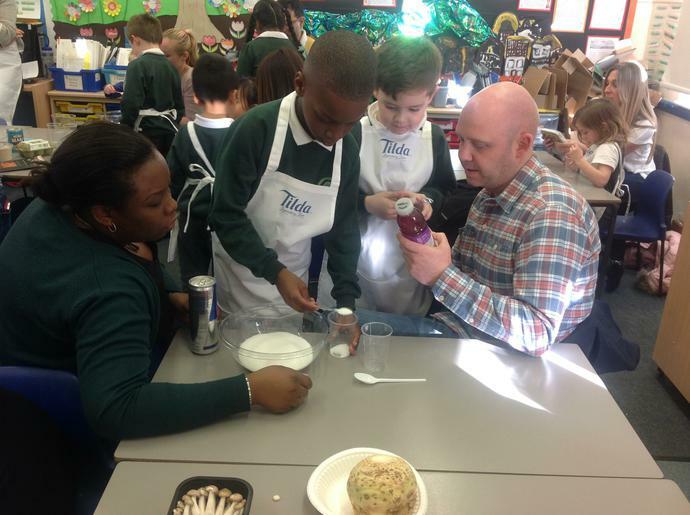 We would like to say a big thank you to Tilda for your generous gifts and such an enjoyable experience. 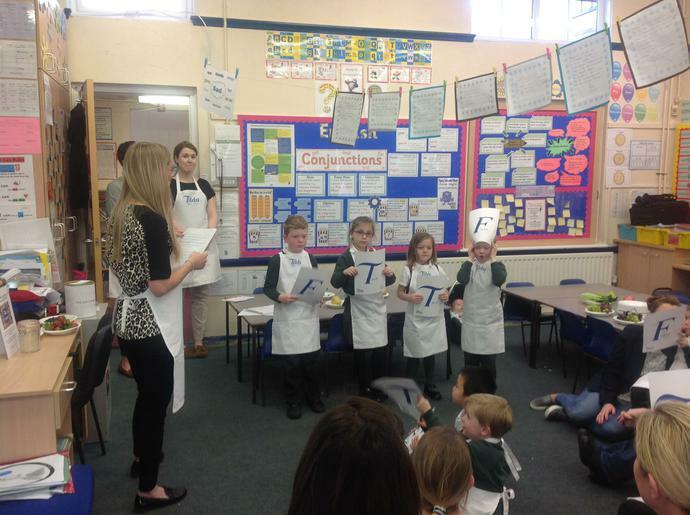 All the leaders had a great rapport with the children and made the event very interesting and informative.